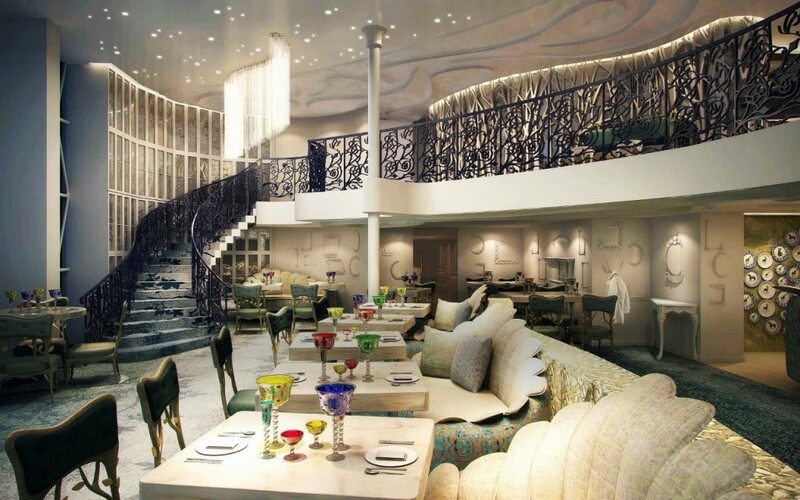 Cruise travellers on Royal Caribbean’s newest mega-ship Harmony of the Seas can head into their own veritable rabbit hole of sorts and into a world of imaginative dining via the cruise brand’s newly imagined culinary concept – Wonderland. Royal Caribbean has today released a new video offering a look at what the imaginative dining experience delivers to guests onboard the world’s largest cruise ship. 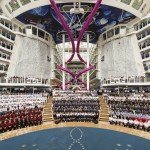 On Harmony of the Seas, Wonderland is sprawling in its size, covering two storeys and sitting high above and overlooking the activity of the Central Promenade. Put simply, there is nothing simple when it comes to Wonderland but that’s exactly how it should be. Effectively, a dining experience in this venue delivers as much in entertainment value as it does in satisfying your hunger. Chefs have been given an open licence to stretch their imaginations to try and create anything they have ever dreamed but which have never fit the bill on other restaurants. Here, their only limitations are the laws of physics. 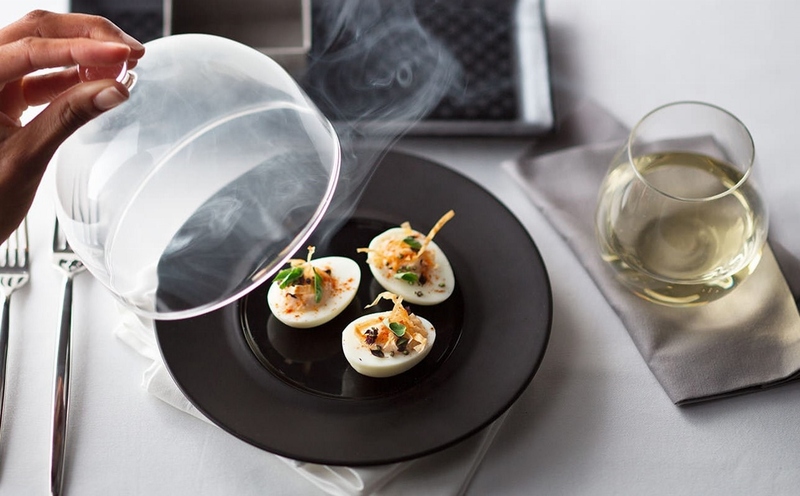 The Smoking Egg is delivered to your table invisible under a cloak of steam until the case is removed. The whimsical wizardry begins immediately, as diners enter through a kaleidoscopic tunnel and walk through a suspended golden door. On being seated, they are presented with a blank menu, its contents only revealed by painting on a solution with a supplied paintbrush. After making their selections, passengers can sit back and marvel not just at the quality of the food being presented, but the process in which it is prepared and served. Via the open kitchen, chefs are busily building menu items, which to the glance can resemble a bird’s nest on which your course rests, while a blowtorch is injecting harmless gases into a glass case in which your food sits. Garnishes, dressings and sauces are drizzled over other items directly at your table, while elsewhere, liquid nitrogen is freezing each glass to the touch which as one chef describes “creates the smoke which is part of the show”. Menu items have been divided up into five categories – Sun, Ice, Fire, Earth and Dreams – and as cryptic as that sounds, it is more about the preparation of the meal itself rather than how it tastes. Imagination is the key to Wonderland. For more details, check out this video. Closer to home, the experience of Wonderland will also be available on Ovation of the Seas, when the ship arrives in Australian waters in December this year. looks awesome. Would love to take our 7 year old grand daughter to dinner there. Wonderland aboard HARMONY of the Seas. Overlooks “The BOARDWALK”, NOT “the Central Promenade” (actually Royal Promenade). Get your facts right!